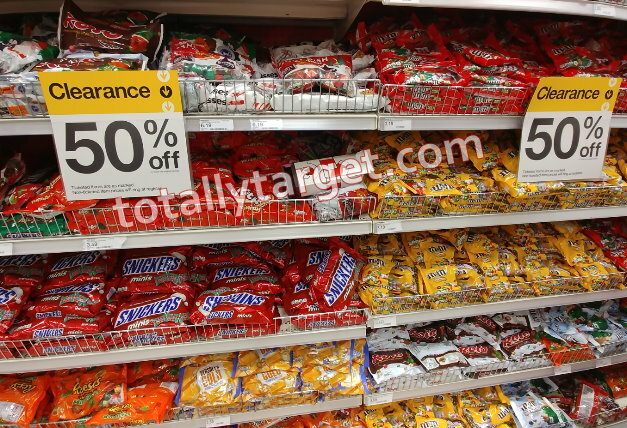 Many of you should find Holiday clearance down to 70% off today, and food & candy at 50% off at your stores. I heard of you went to 70 yesterday, so lots of you should find the drop today. What can be found will vary from store to store, but definitely worth taking a good look around for anything you might want to go ahead and stock up on for next year. 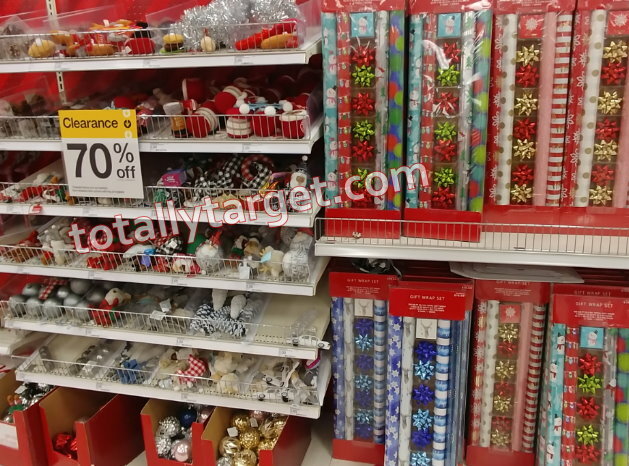 I was happy to see a lot at 70% at my store, everything from decor to wrapping supplies and more. 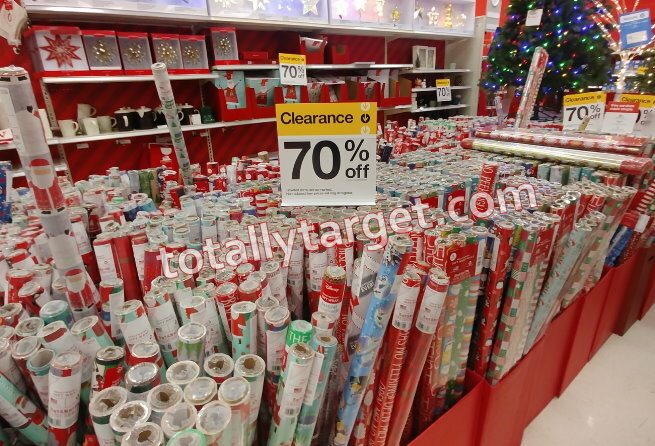 Keep in mind that while certain holiday items are stickered clearance, A LOT of the general Christmas clearance does not get stickered, so be sure and scan, scan, scan! 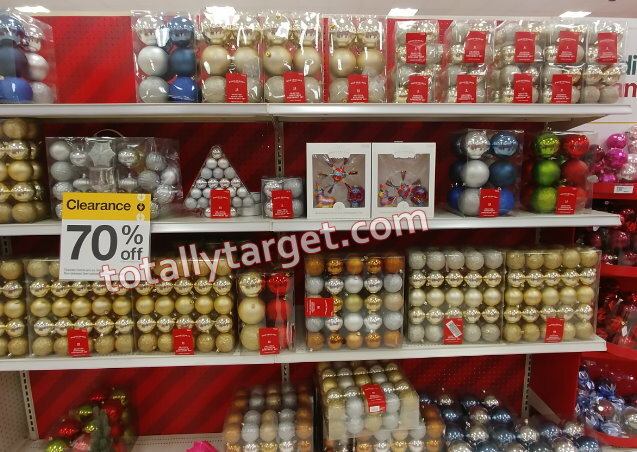 I had a huge amount of ornaments, including individual ones and sets in a variety of colors all at 70% off. Lots & LOTS of gift wrap, including single rolls and multi-packs in a wide assortment of patterns. 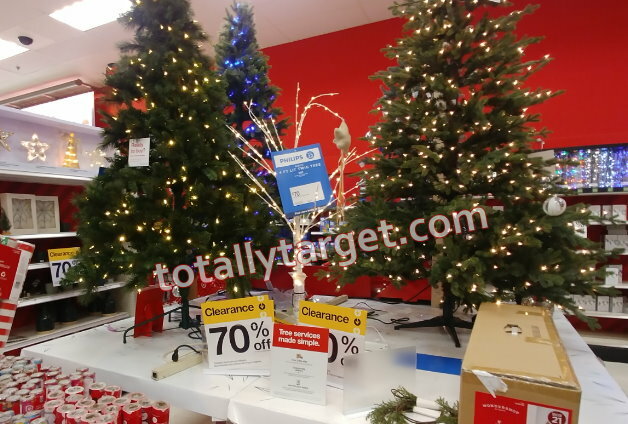 Holiday trees both lit & unlit at 70% off. 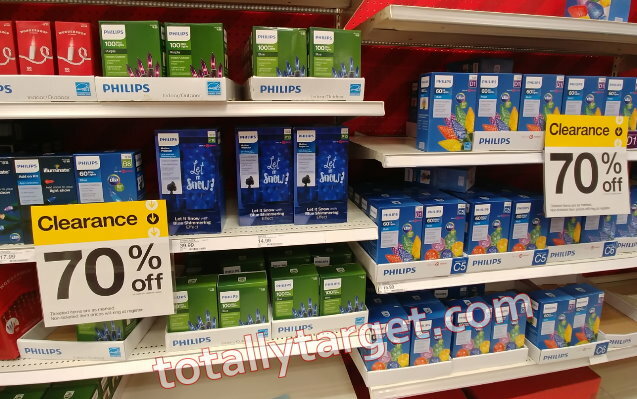 I also found quite a bit of holiday lighting too – lots of string lights, and outdoor lighting too.